If you don’t have a GPS watch, you may have wondered how to train and race effectively without one. 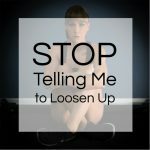 But for those of you who already have one, have you ever considered that it might be holding you back? Regardless of what category you fall into, read on to learn about the benefits of running by feel. While analyzing training data with my athletes is a crucial aspect of adapting and progressing their workout programs, it’s not always a good thing when the data becomes part of the workout itself. Runners often have preconceived notions of what is “easy” and what is “hard”, relying too much on external (not to mention inaccurate) devices rather than internal cues to tell them how hard they’re working. There is a time and place for hard data, but learning to listen to your body and pace yourself by feel can pay off huge dividends. In fact, numerous studies have shown that externally controlling exercise intensity in endurance competition increases physiological stress and reduces exercise capacity when compared to self-paced activities. In other words, the attentional focus required to obey your watch takes away from your ability to effectively self-manage fatigue and optimize your power output. In an even worse scenario, being too reliant on your fitness device may cause you to ignore otherwise obvious signs that your originally planned pacing strategy is inadequate. The result? You might try hanging on to a fast pace for too long, or the numbers on the screen (and fear) might keep you overly cautious until it’s too late to make up time. To make matters worse yet again, inaccuracies on the device may lead you to adjust your pace erroneously. For example, when satellite reception is reduced while running through tree cover or between skyscrapers, the displayed pace may oscillate despite your actual pace being consistent. If you are obsessive about sticking to your watch pace precisely, you may waste energy adjusting your speed for no reason at all. Sound bad? That’s just the issues with GPS. Pacing by heart rate can be effective in training and in certain endurance events, but it’s not likely to be very helpful for most athletes under most race conditions. And if you’re using a wrist-based optical heart rate sensor, you can just forget it; the accuracy is pretty horrible across the board regardless of what device you use, and I can assure you that your internal pacing skills have a much smaller margin of error than optical heart rate monitors. 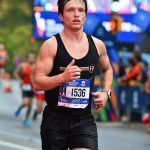 Credit to fellrnr.com for the data, showing how often popular OHRMs report heart rate within a certain margin of error under normal training conditions. Experience and hard training go hand-in-hand. The more you have raced or experienced race-like conditions, the more comfortable you will be with what it feels like to push at and near max effort. Getting comfortable with what RPE 9 and RPE 10 feel like across different time and distance ranges is key to being able to reproduce these intensities on race day, anticipate fatigue before it hits, and optimally manage your energy expenditure so that your gas tank empties right on time and not a moment too soon. All too often you see marathoners doing all of their long runs 1 and 2 minutes per mile slower than race pace – while these types of training sessions do their part to improve aerobic fitness, it’s not going to teach what race pace feels like, prepare you to handle 26 miles of it, or help you refine what your race pace actually is. After all, how can you even predict what pace you should be running for a marathon if you don’t do anything remotely similar in training? If this is how you train and you use an online calculator or pacing table to predict your marathon time based off of your mile time or 5k, you’re in for a rude awakening. I’m not suggesting you run a max effort marathon in training, but in order determine what your race pace is, what it feels like, and when/how to adjust it on the fly, you need to practice it. Last but not least, when you do these types of workouts, don’t always look at your watch. Sure, wear it. However, try setting your data screens to only show distance or only show time. Run by feel and look at the data afterwards. You might surprise yourself with what you’re capable of. The first few times you do this, your pacing is probably going to be terrible and you might not have a good workout, but within a few attempts, I guarantee that you’ll be impressed with how consistent of a pace you actually run without “help” and how much more enjoyable your workout is when you can simply focus on the activity at hand – not on your wrist. You might be wondering what to do for workouts that aren’t near max effort. Conceptually, it’s simple enough to run hard, but how do you determine how “easy” is easy enough? How can you do recovery runs without a watch to keep your pace in check? Breathing rhythms can be an extremely effective means for keeping your pace under control, and offer many other potential rewards as well! I can’t pretend to have invented breathing rhythms, nor I do I think anyone else can really stake a claim to something as simple as breathing. 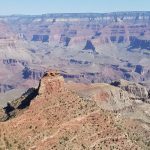 Years ago, I had played around with breathing rhythms a little bit, but never took them very seriously until one my coaching colleagues, (and world class ultra runner) Nickademus Hollon, inspired me to dig into the concept a bit deeper. I’ve been utilizing them with great success ever since and highly encourage you to give them a try too. The idea is simple: match your inhales and exhales to your foot strikes in an even:odd rhythm, such that each complete respiration cycle corresponds with an odd number of steps. Why is an odd number of steps important? Your diaphragm assists your core in bracing for impact, but its ability to help varies depending on where you are in the respiration cycle. If your breathing rhythm is even, these almost insignificant differences in bracing and shock absorption can add up over the millions of steps you take each year. By sticking to an odd breathing rhythm, you ensure symmetry and are less vulnerable to developing imbalances over time. Then, adjust the number of breathes depending on the desired intensity. 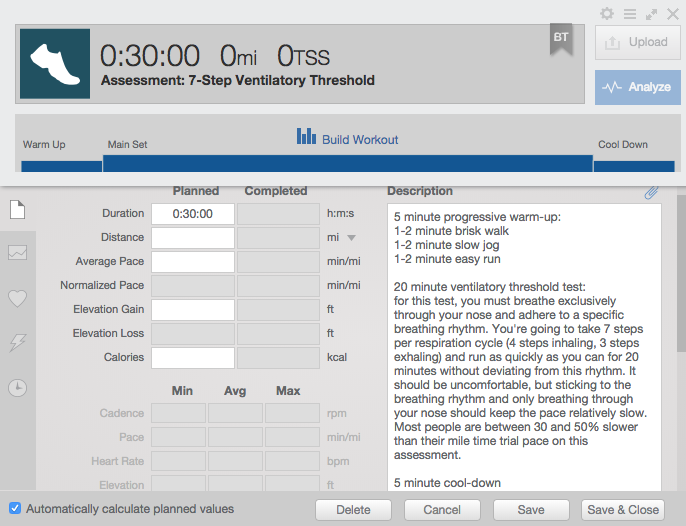 For low intensity runs, a 5 step or 7 step breathing rhythm works very well. For a 5 step rhythm, breathe in for 3 steps and out for 2; for a 7 step rhythm, breathe in for 4 steps and out for 3. At faster paces, a 2:1 rhythm is often best. 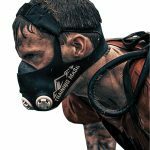 A relaxed 5 step breathing rhythm or a 7 step breathing threshold (running as quickly as possible without deviating from this rhythm) usually corresponds to a very similar pace / heart rate as traditional “MAF” or aerobic threshold workouts. If you have a specific heart rate or pace that you are “supposed” to train at, you can practice running at that heart rate while testing out different breathing rhythms. With time, you can learn what this intensity feels like by monitoring your breath. As your fitness develops, you can rely on breath to maintain a consistent training intensity despite improvements in speed, without the need for constant glances at your wrist or having to wonder if your heart rate monitor is glitchy or not. If you’re interested in the other benefits of breathing rhythms and why an odd number of steps is recommended, check out my contribution to Women’s Health in this article on running sans technology. Most people are shocked and disappointed about how slowly they must run for this workout. As coaches, we rely on data analysis to evaluate your progress and adjust your programming, but not all data has to come in the form of a .gpx file. Try focusing more on metrics like RPE, breathing rhythms, and estimated time to exhaustion (at the end of a run, ask yourself how long you think you could have kept going at the intensity). Remember that one of the most helpful features of your expensive watch might not be it’s sapphire display or titanium bezel, but the simple ability to customize data screens and limit the amount information you can see. For those of you that don’t have a fancy fitness tracker, think twice before you jump the gun on a big purchase and ask yourself why you want one in the first place. If you enjoy geeking out over data, want to be able to track distance between aid stations in trail running, or want to evaluate your performance after training sessions, then that’s great. I love my GPS watch and would hate to not have one. 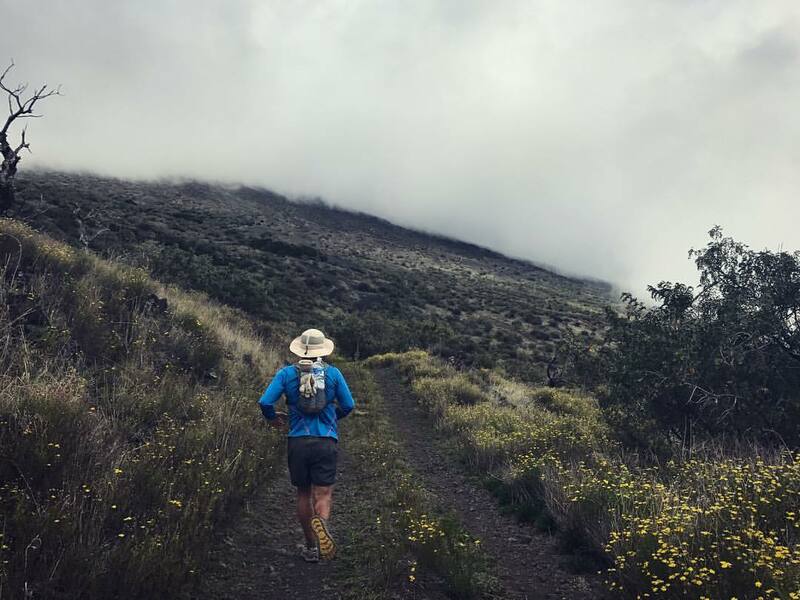 Many of the best endurance athletes in the world train and race with a GPS watch and their are dozens of practical uses for them, but developing perfect pacing is not typically one of them.